This year our hackathon theme is about ‘Innovation in Artificial Intelligence using Intel®’. Artificial Intelligence or AI as it is popularly known is used almost everywhere today—from medical diagnosis to crime fighting—and this is just the beginning! Intel® uses high-performance technologies specifically designed to meet the unique demands of AI to power AI’s rapid advancement in data centres, workstations, and network-edge devices. This hackathon is about busting the myth that Artificial Intelligence is difficult, time-consuming, and expensive! Intel® is well on the way to becoming one of the leading companies in the field of AI with the aim of making the world of AI fast, easy, and cost-effective. At Intel®, we are solving complex problems, making processes more efficient, and even creating new realities through real-world applications of AI. For example, Intel® has partnered with the China Foundation for Cultural Heritage Conservation and is using AI and drones powered by Intel® to restore the world’s largest manmade structure—The Great Wall of China. Read more here. 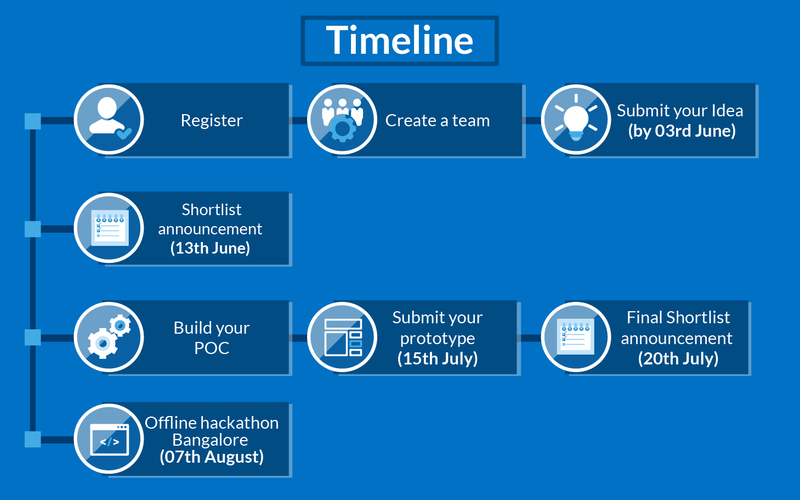 The objective of this hackathon is to build a prototype using one or all of the following Intel® tools:Intel® Distribution for Python,Intel® Optimized Frameworks and Intel® Xeon Scalable Processors with an emphasis on Artificial Intelligence. Note: This hackathon is exclusively open to working professionals! Use all these Intel® tools to build your prototype with an emphasis on AI: Intel® Distribution for Python, Intel® Optimized Frameworks, and Intel® Xeon Scalable Processors. You can build your prototype based on any field of your choosing. Ps: Also check out techdecoded.intel.io/ and techdecoded.intel.io/developer-tools for some insightful resources on the submissions! Kickstart your AI journey on Intel® Xeon Scalable Processors. We would love to have you use more Intel® tools listed in the Intel® Products Tab . Some of these tools require access while others are open-source. You will be given access to the tools if you are shortlisted. All the professionals who make valid POC submissions will receive free access to Intel® Parallel Studio XE worth INR 20,000! The top teams that are shortlisted will be featured on the intel.com/ai page for a case study.